1. 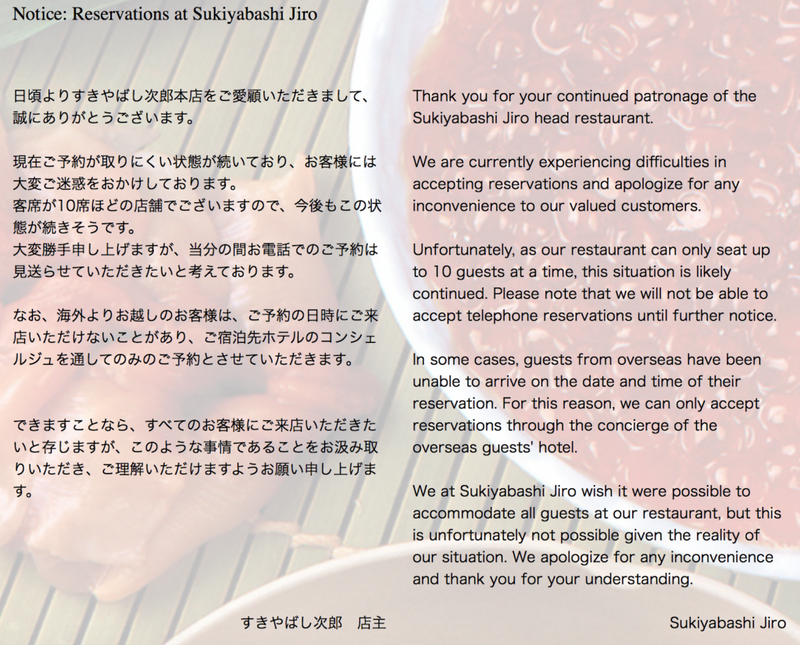 Sukiyabashi Jiro offers only one set menu over 35,000 yen per person excluding tax. 2. The Cancellation fee is 17,500 per person excluding tax. It will be applied when any cancelation is made less than 2 days prior to the reservation date. 3. No perfume is allowed at the counter seats at all times. 4. No T-shirts, jeans, short pants or sandals are allowed in the restaurant. Male guests are required to wear a shirt with collar or a jacket.